Finesse your evening outfits with this stunning pair of Public Desire Studio Perspex With Gems Detail Heeled Sandals. 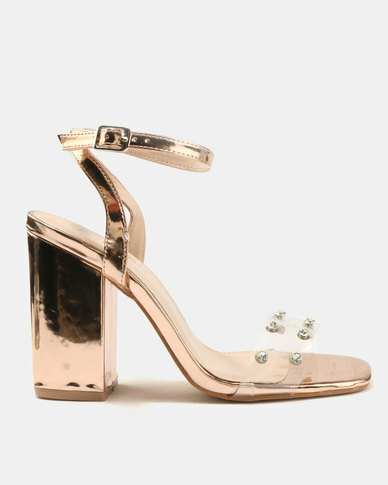 Perspex vamp straps embellished with faux gems span their vamp straps and rose gold block heels complete these beauties to perfection. Style tip: Make them pop with a blush dress and a feather boa.